Orientation – (2 weeks) Students are introduced to the learning management system, the structure of the series, other technology they can use throughout the series, and each other. 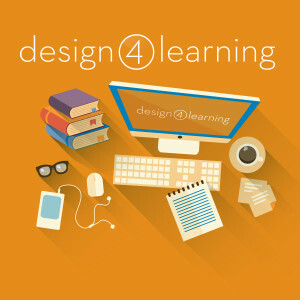 Foundation – (6 weeks) Dr. Marilyn Arnone takes students through an overview of the instructional design process, with a range of perspectives and terms, including Universal Design for Learning. Then she leads students step-by-step through a 7 step process to draft an instructional design plan for their own project. Diversity – (4 weeks) Dr. Loriene Roy shares key concepts to help learners draft their own definition and expand their observance and practice of diversity as online learners and teachers. Community – (4 weeks) Arden Kirkland guides learners to explore a variety of social media tools for discussion and interaction￼￼￼￼ ￼in order to consider the importance of social presence and a sense of community in increasing student engagement. Content Creation – (4 weeks) Lori Bell provides resources for learners to develop content with best practices for chunking, storyboarding, layout, scripting, and recording, focusing on screencasts. Course Management – (2 weeks) Samantha Settimio helps students to organize their course materials for an online environment, considering different Learning Management Systems or LMS alternatives and planning for communication, assessment, and feedback. Capstone – (6 weeks) Learners continue to build on the work from all the previous models to finish all the content for their own online unit and test it with a small group of pilot students.